A grange may be thought of as a small farm owned by a monastery, assigned to yield a surplus for the use, and enjoyment of the monks. Tytherington was linked to Llanthony Abbey in Gloucester, whose granges were normally built near to the church. 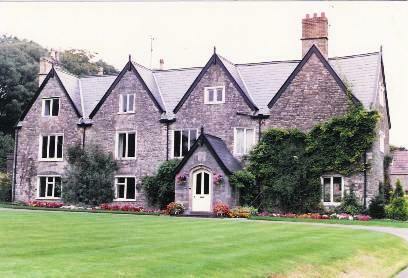 It is possible that the present house called The Grange and pictured here in the 1980's had its origins in the late 16th century, and was perhaps built on the site of Llanthony Abbey's grange by whomsoever bought it from the Crown. 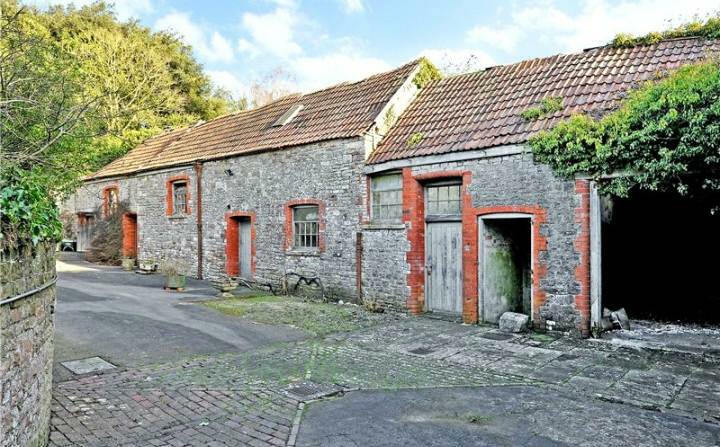 If this were so the replacement farmhouse was possibly built on the corner of Duck Street and West Street where the farmhouse (now the Swan Inn) is probably contemporary with The Grange. It was, before its conversion to an inn in 1840, the farmhouse for the lands farmed by the Lord of the Manor at The Grange. One of the earliest stone buildings in the parish, The Grange owes its Victorian appearance largely to the bargeboards and porch. In the 17th century, both Tytherington and Itchington Manors were in the possession of the Willoughby de Broke family. 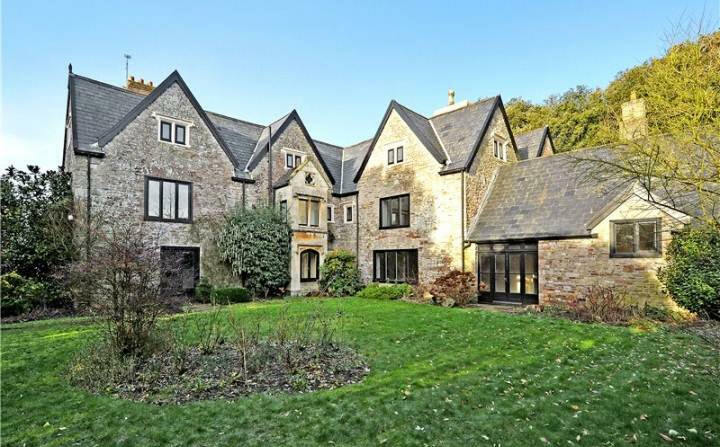 In 1728 the Manor of Tytherington was sold out of the family, to Peter Hardwicke, Doctor of Physic, Bristol, a member of a prominent Chipping Sodbury family. The Grange became the home of many generations of the family, up to the death of the last male descendant in 1935. John Hardwicke inherited the Manor of Tytherington in the mid-1700's, his son Thomas Machin Hardwicke lived in The Grange until the turn of the century, and his son Thomas, in turn, lived on until 1841. (It was he who was involved in the indecorous squabble between squire and vicar in 1830.) His was an ill-fated family: of seven children, not one survived him, and his elder son, the only child to marry, had only one child, a daughter. So living at The Grange ten years after Thomas' death were his two elderly sisters, one a widow, one a spinster, and his bachelor brother, with their sole great-niece aged 19. The great-niece, Elizabeth Bluett Hardwicke, married John Lloyd Davies, 30 years older than she, of Blaendyffryn Manor, Cardiganshire, and there she produced two sons. She and her husband died within a month of each other, in 1860, when the boys were aged 2 and 1. When they became 21, they changed their name by Royal Licence from Davies to Hardwicke, and returned to Tytherington, to The Grange, which trustees had maintained for the family. The younger boy soon died; but Hardwicke Lloyd Hardwicke lived as 'the Squire' of Tytherington for the next 53 years. His first wife died in childbirth, with the son; his second marriage resulted in three daughters, and divorce; late in life he married again. His death in 1935 brought the line to an end. When H L Hardwicke returned to Tytherington in 1881, he found The Grange curiously hemmed in, with no garden. He promptly arranged a Deed of Exchange, by which The Grange acquired much of its present front garden, reaching down to Duck Street, land which had been until then part of the Vicarage garden. In return, the church acquired additional glebe land along Stidcote Lane. Also of immediate importance to The Grange was a realignment of a short stretch of the road now known as Baden Hill Road. This ran directly outside the N.W. side of The Grange - its line can still be seen leading from the entrance to Boyts Farm, past Rock Cottage and Underhill to the wall of The Grange - and its realignment took it away from the house and close to the old smithy, absorbing the grassed area outside where the horses would wait to be shod. The present screen of evergreen oaks no doubt dates from this time. 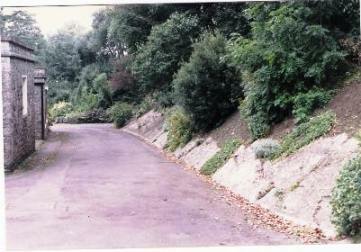 (The photograph below shows the route of the old road past the Grange). In the early 1900's, the development of Church quarry was being hindered by the Old Gloucester Road, which sloped up Tytherington Hill from behind The Grange. Agreement between H L Hardwicke (beneficiary of the quarry workings) and the Parish Council was achieved, though not without difficulty; the Old Gloucester Road would be severed by quarry workings, steps up the hill would be cut for walkers, and a New Road made, starting beyond the Church, running up through the recently planted wood and joining the old road at the top of Tytherington Hill. 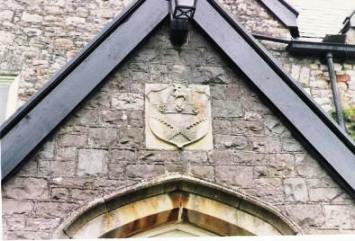 Little is known for certain about the occupants of The Grange after it came into lay hands. There is, however, some evidence that members of the Bridges family lived in it from around 1650 to 1725. Certainly, George Bridges lived in The Grange in the early 1700's. His ancestor, Sir Giles Bridges (later Lord Chandos), at Sudeley Castle, had descendants who owned property in many parts of the region, for instance at Woodchester. The Rev. Richard Bridges (1602-1657) was Rector of Cromhall, but his epitaph is in Tytherington Church; he may have retired to The Grange, and perhaps arranged that a relative of his wife, Guy Lawrence, should purchase the advowson of Tytherington Church from the Verneys, which advowson later came into the possession of George Bridges. He in turn sold it, in 1729, to the Hardwicke family. Hardwickes then lived in The Grange for the next 130 years, until 1862 when Mrs Morris (nee Hardwicke) died. The Rev G W Green's son Theophilus back in England from India and the Mutiny, then occupied the house until 1865, leaving his widow and six children there to 1876; then came F W Williams and his wife until 1880, leaving the house ready, not for another tenant, but for the owner, Hardwicke Lloyd Hardwicke. In 1925, the Church Commissioners put up for sale the adjacent vicarage; the Squire bought it and moved in, leaving his youngest daughter, who did not marry, with a companion in The Grange. When the Squire died in 1935, The Grange was vacated. Subsequent occupants before 1939 were Francis G Jackson and Capt. Conway Shipley. The building was requisitioned during the war and served many purposes, housing detachments of the Royal Ulster Rifles and the local Home Guard, and accommodating miners on holiday. Occupied after the war by Norman Rowbotham, The Grange was bought in 1953 by James E Bryan; he did not move in until 1959, but since then his family has continued in residence. 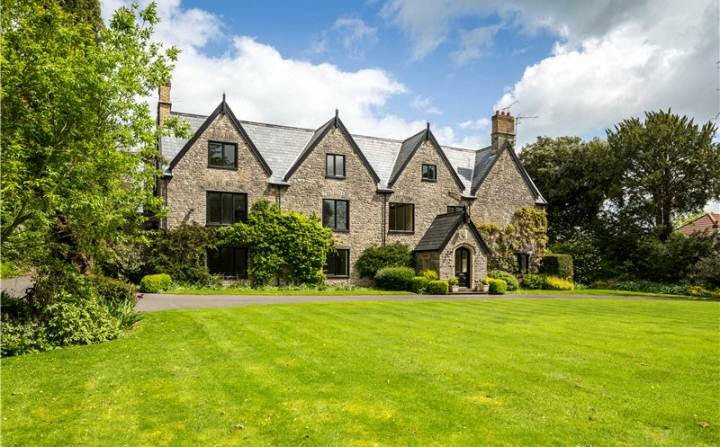 In 2015 The Grange was for sale on the open market for a price of £1.3 million. Click on thumbnails below to enlarge the image.